I am Rylnikov Valentin from Russia, Dr. Sci.Biol., Institute of Pest Management, have created the present site page for an explanation of my activity as scientist and directions of Institute headed by me. www.pestmanagement.ru in English. There is switch on Russian. In an internet-zone ".ru" you will find the fullest information on Russian about pest animals on a site: www.pestkiller.ru . Formation - the higher (has ended biological faculty of the Moscow State University of M.V.Lomonosova in 1975 on a speciality zoology of vertebrate). Scientific degree - a Doctor Nauk. Academic status - the senior scientific employee on a speciality "Ecology". 27 years (with 1974 on 2002 yeas) has worked at Institute of dezinfectology (Moscow). From 1989 for 2002 was by the head of laboratory rodents number regulation problems. Since 2002 and at present time works by director in private educational establishment "Institute of pest management". 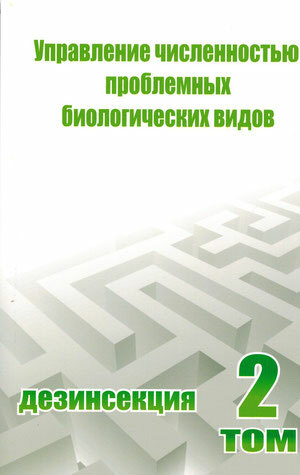 The editor-in-chief of unique journal in Russia "Pest management" which is issued since 1991 on present time quarterly. Has more than 120 published works about problem of rodents ecology and methods control of its number. The author of many regulatory documents, which are a basis for work of specialists in struggle against rodents. 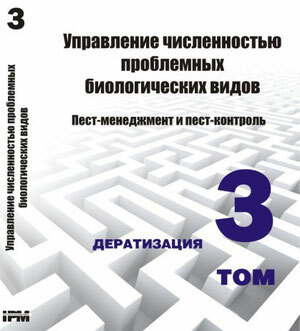 Pest Management The manual / under the editorship of V.A.Rylnikov. - М: Institute of Pest - Management, 2011. - In 3 volumes. Volume 3. Deratization – 220 p.
The data of rodents biology, methods of number account, number rodents decrease are described. Data on methods, ways, receptions are systematized. The attention is given security measures of formulations concerning the person, wild and home animals. in the field of biological, agricultural sciences and public health services. Volume 2. Disinsection – 169 p.
In the tutorial considered as sanitation, so and all the modern methods of struggle with arthropods that have medical significance and who are pests of food products, leather products, wool, wood, and also undesirable synanthropic species, occurring as in the dwellings of man, and in time - personal industrial, office, warehouse and other premises. Presents data on the biology of arthropods, which may be taken into account in the choice methods of struggle against them and with the choice of the appropriate insecticide and its preparative form. The ways of overcoming the stability and irritability of arthropods to insecticides. This training manual was first published in 2007 in the electronic form, in the following years were finalized and completed. The manual is intended for additional professional education specialist professionals in the field of biological, agricultural sciences and health. Rylnikov V.A. 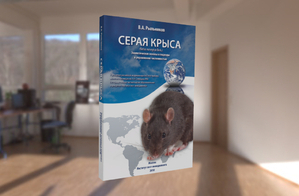 Pest risk assesment (Brown rat as example)// In: Proceedings of the 1st Euroasian Pest Management Conference, EAPMC-2013, Russia, Moscow, September 09-11, 349-356 p.
Rylnikov V.A. PROBLEMATIC SPECIES DANGER FOR URBAN SETTLEMENT STRUCTURES// In: Proceedings of the 2nd Euroasian Pest Management Conference, EAPMC-2016, Russia, Moscow, September 05-07, 125-129 p.
Rylnikov V. A. , Bogacheva A.V. Monitoring of Brown rats on the territory of megapolis//In: Proceedings Of The 9th International Conference On UrbanPests, ICUP-2017, Aston University / Conference Aston, Birmingham, UK, July 9-12, 2017, 147-152 p.